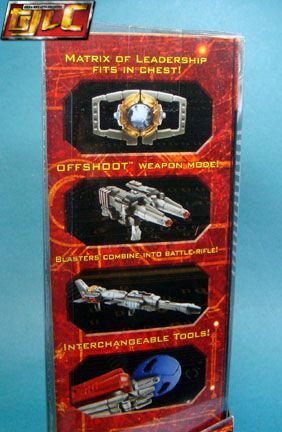 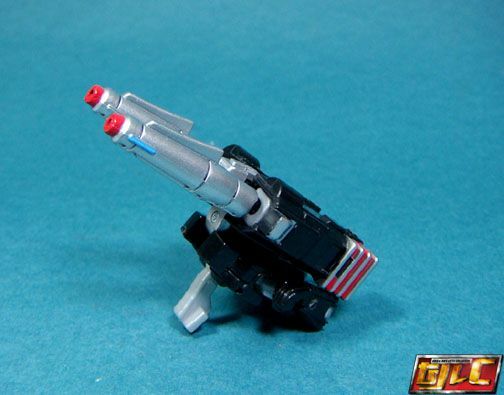 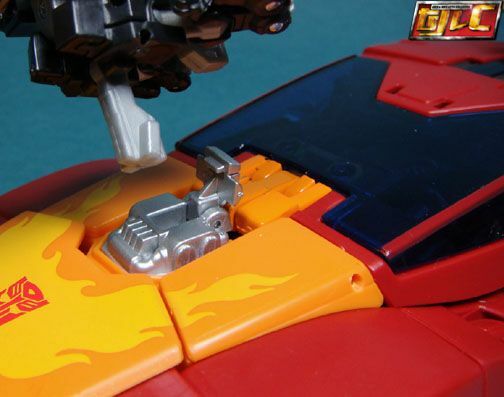 .... but for some strange reason, even though it's mentioned in the manual, the Target Master figure can't fit into the the slot. 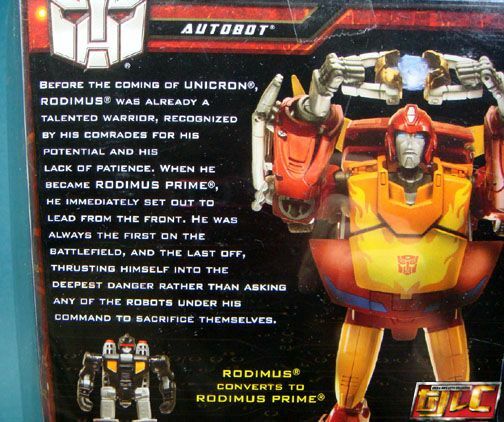 Unless I'm missing something? 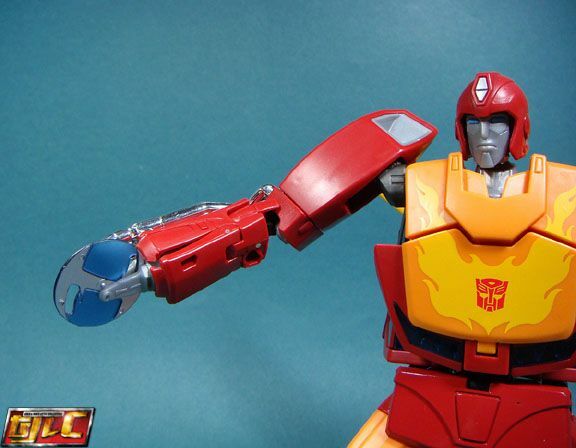 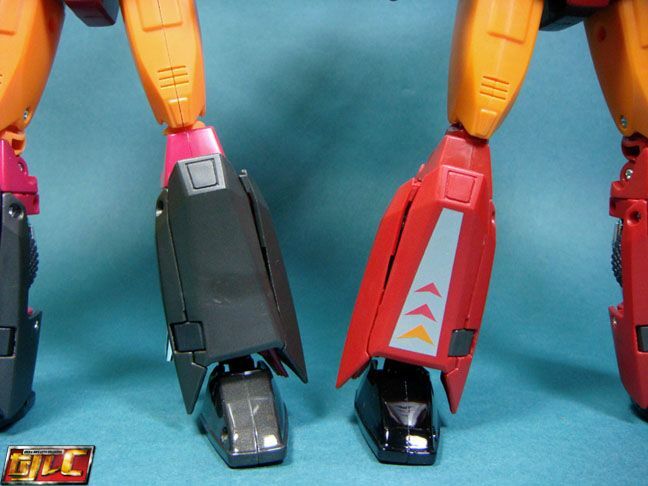 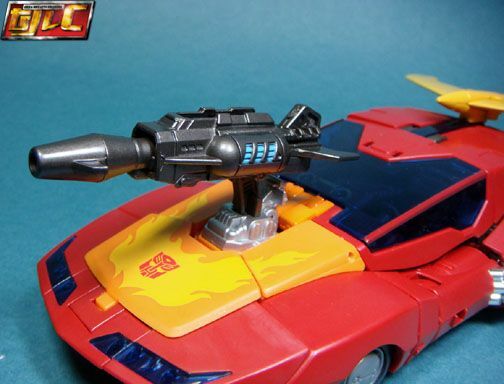 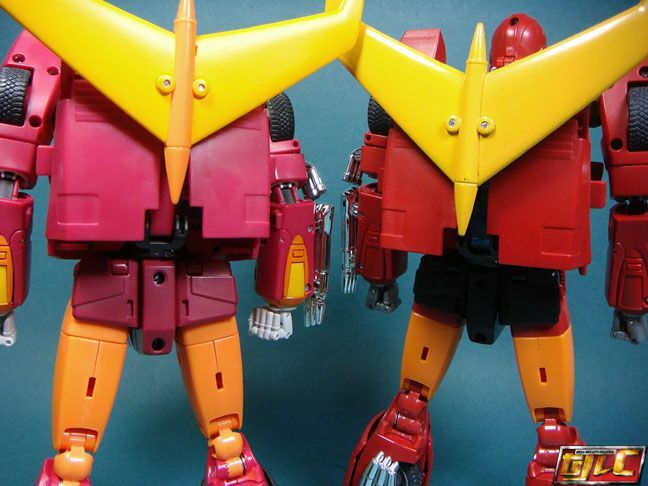 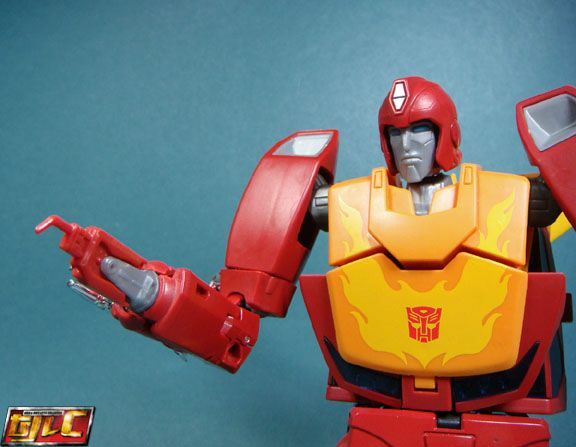 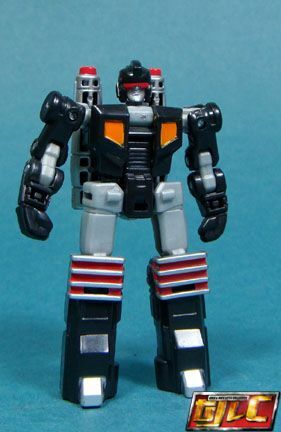 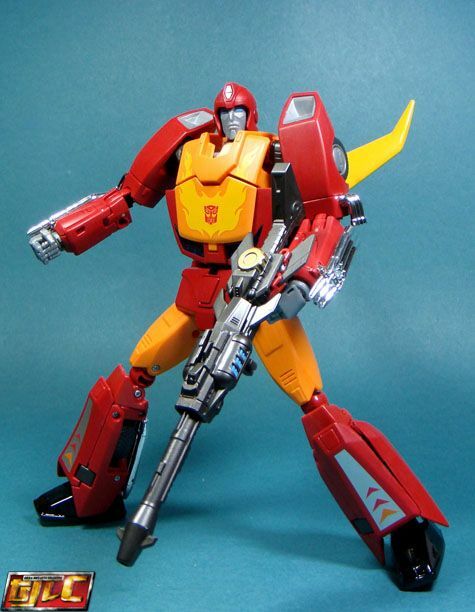 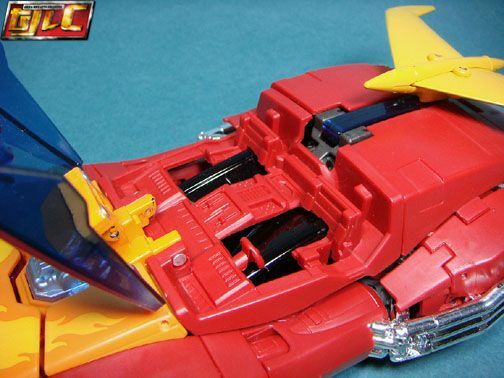 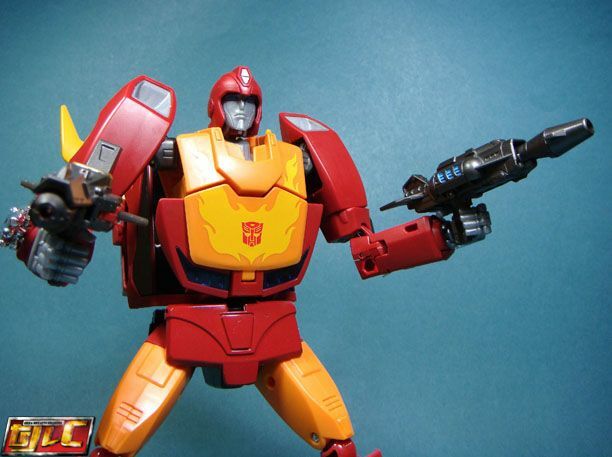 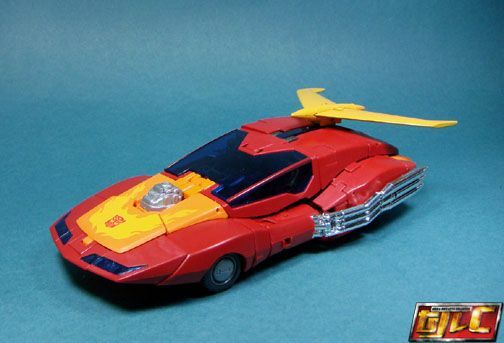 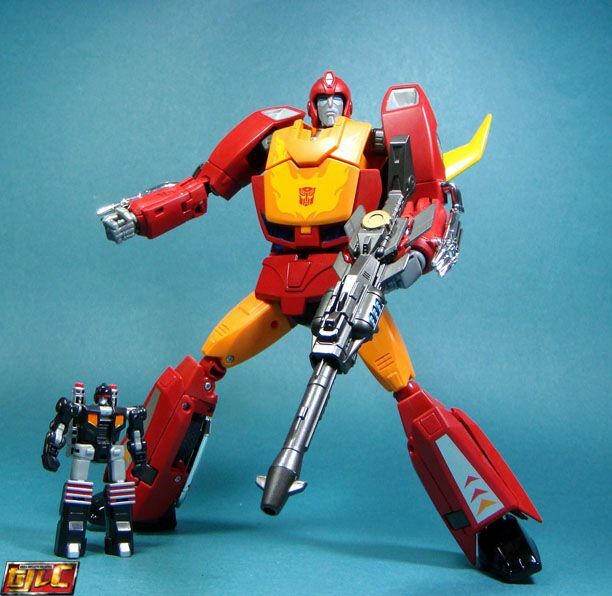 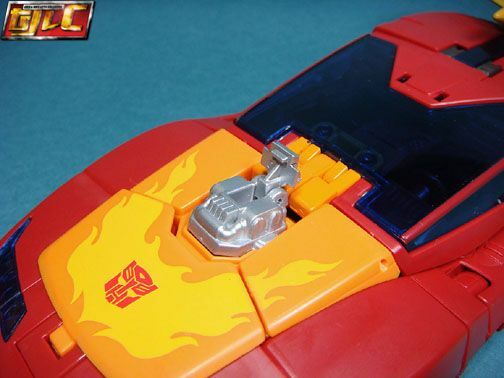 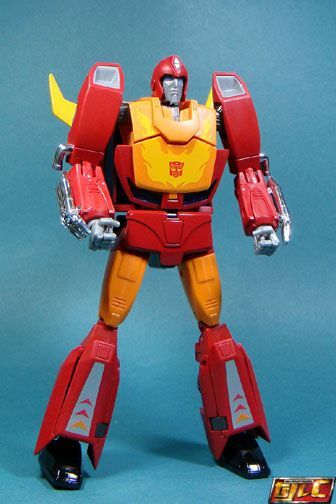 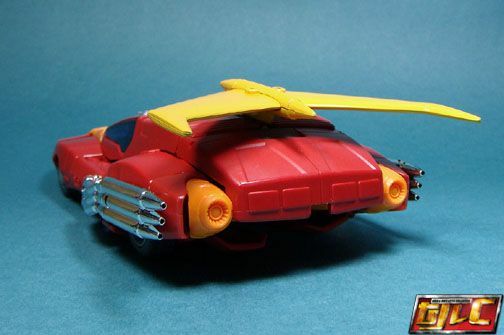 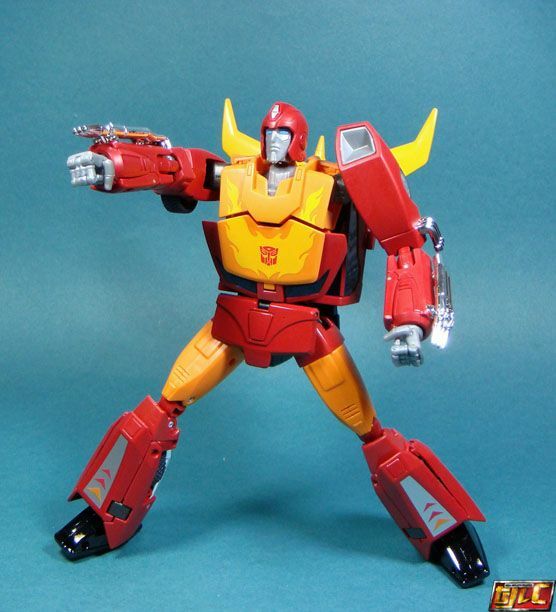 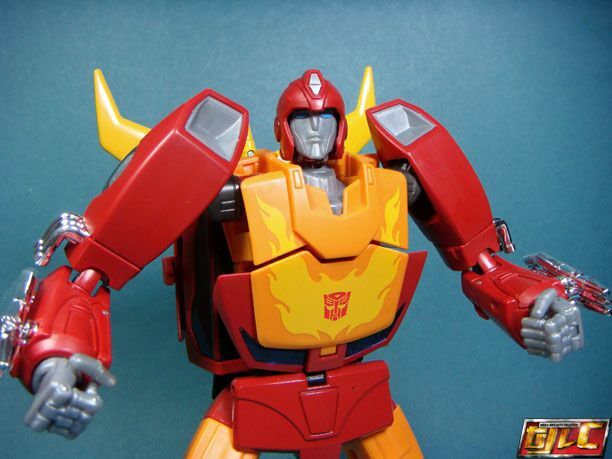 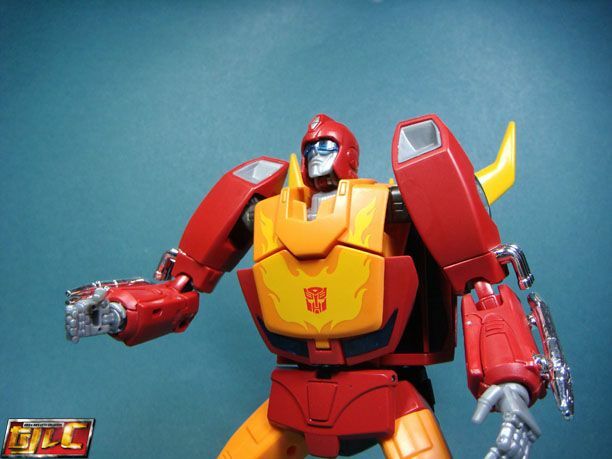 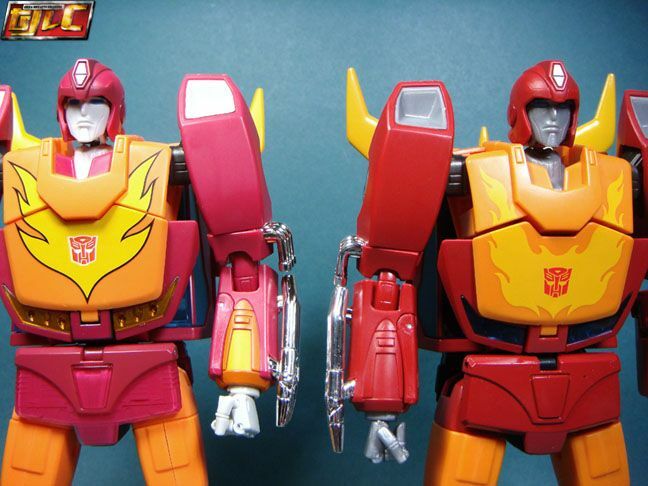 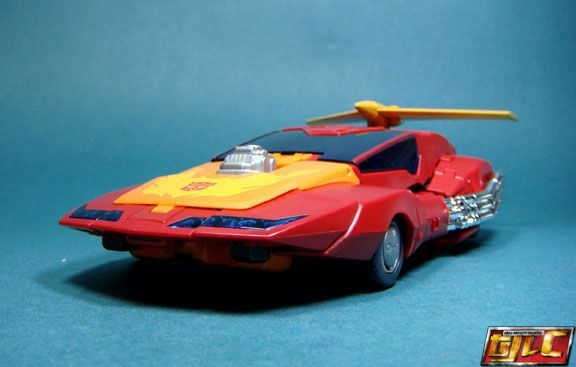 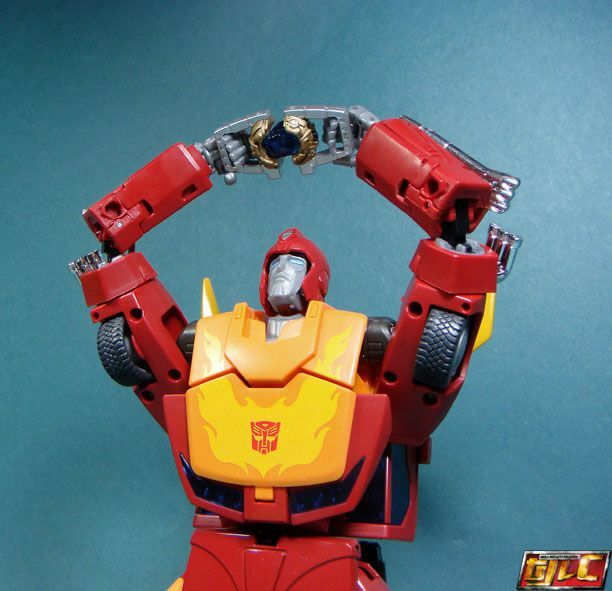 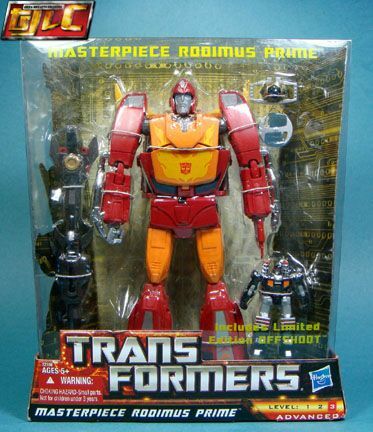 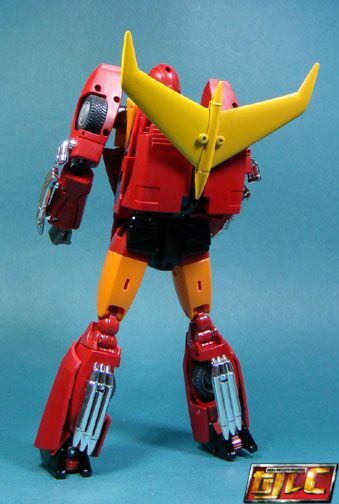 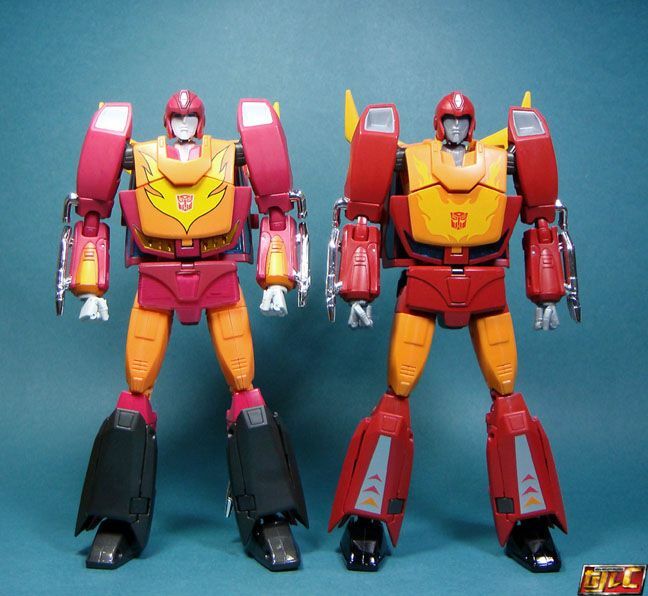 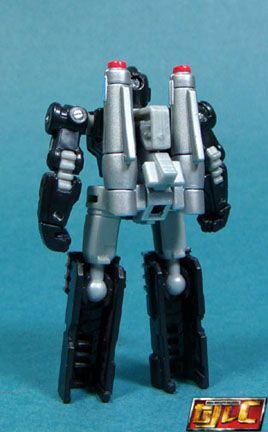 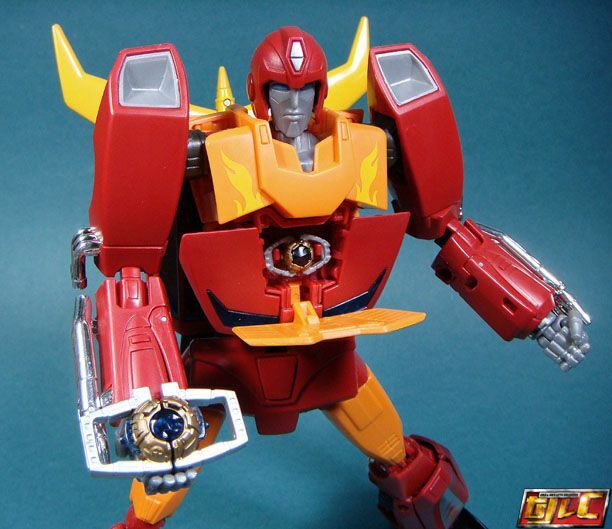 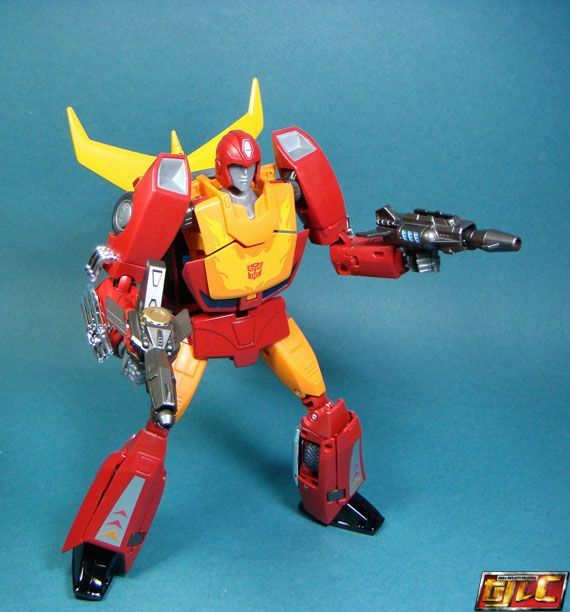 The color scheme for this version of the MPC Rodimus Prime is based on the G1 toy of Hot Rod. 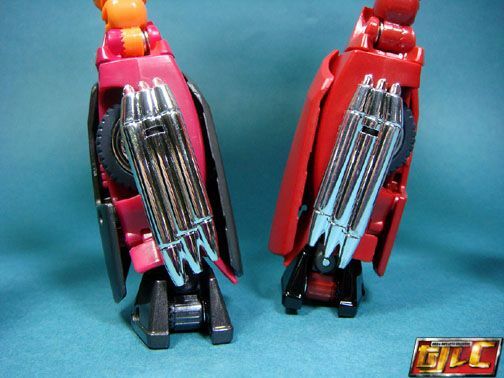 Of course the Hasbro version plugs into the Takara Tomy trailer all the same, but the color difference sticks out a bit. 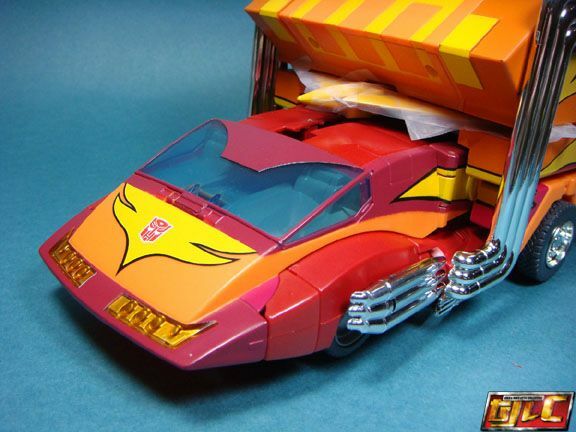 Even though I still prefer the Takara Tomy version colors (plus the trailer), coming across this at almost 65% off the retail price was too good to pass up. 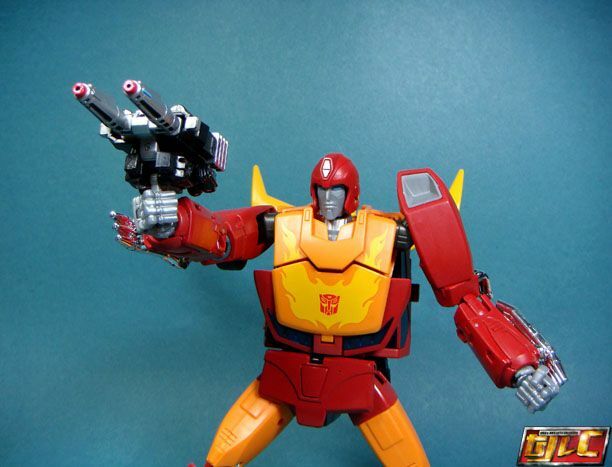 Hasbro Rodimus Prime also holds his weapons better (way better) than the version 1 Rodimus Convoy. 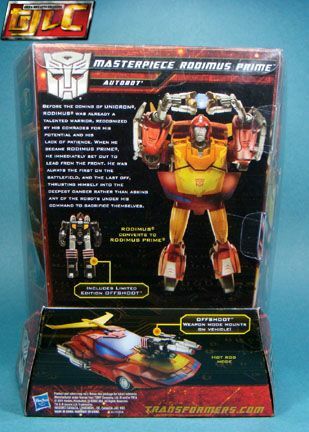 Plus the Target Master is an exclusive figure for the US version.